This sign is for Bucklin Tractor and John Deere. The sign’s colors are green and yellow. 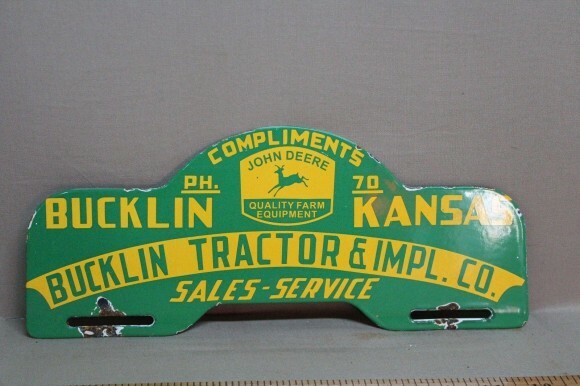 The text on the sign reads: Compliments John Deere quality farm equipment Bucklin Kansas Bucklin Tractor & Impl. Co. Sales Service. The sign shows a John Deere logo at the top with text around.